Sony has certainly got the traditional camera market talking with their innovative range of cameras breaking new ground for image quality. Can this success trickle down to the cameras on their Smartphones, too? We aim to find out as we put the yet-to-be-released flagship Sony Xperia Z5 Smartphone through our industry-standard tests. 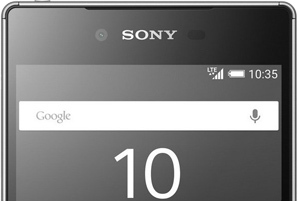 Announced in September 2015 and expected to hit the shops this week, the Xperia Z5 is Sony’s new flagship Smartphone. Featuring a 5.2-inch 1920 x 1080-pixel (428 ppi density) LCD screen, the Z5 runs the latest version of the Android OS (Lollipop v5.1.1) and packs plenty of features for the Smartphone photography enthusiast. Giving the Z5 some oomph is the powerful Snapdragon 810 chip set with quad-core 1.5Ghz Cortex-A53 and quad-core 2GHz Cortex-A57 processors, along with 3Gb of RAM. Internal memory storage of 32Gb is supplemented by expandable Micro SD storage up to 200GB, allowing you to store plenty of high-resolution photos and videos on Sony’s latest device. You’ll probably need it, too, as the Xperia Z5 packs a whopping 23Mp maximum resolution on its primary camera that captures 5520 x 4120-pixel stills, or video at 2160p/30fps, 1080p/60fps, 720p/120fps. Other camera features include phase-detection autofocus with touch focus, LED flash, geo-tagging, HDR, and panorama stitch. The secondary camera is a notably lower 5.1Mp resolution option, but that’ll be fine for the odd “selfie,” and it also records video at a respectable 1080p. With recent tests for such new mobile devices as the LG G4 and Motorola X Style giving the established Smartphone players a run for their money at the top of our database, let’s see how Sony has stepped up to the challenge with the Z5. We’re delighted to announce a brand-new leader at the top of the DxOMark Mobile database, with the Z5 posting top scores in both photo and video sub-categories. With a DxOMark Mobile score of 87 points, the Z5 overtakes our previous champion, the Samsung Galaxy S6 Edge (86 points). It’s a big step up in overall image quality compared to Sony’s Z3 Plus with 82 points, which has now been pushed out of our top three. That third-place podium finish is for now occupied by the recently-tested Google Nexus 6P smartphone, which is at 84 points. Although the Z5 offers a maximum 23Mp sensor resolution for stills, Sony set a default 8Mp jpeg output to keep picture sizes manageable for everyday use. You can change to the maximum resolution in the settings menu, but as always, we’ve evaluated image quality using the camera’s default mode. Even at 8Mp, however the Z5 was able to cement its position as the number one device with a series of outstanding results in all sub-categories. It would be interesting to see how well the Z5 could perform if Sony had implemented a 16Mp default mode! 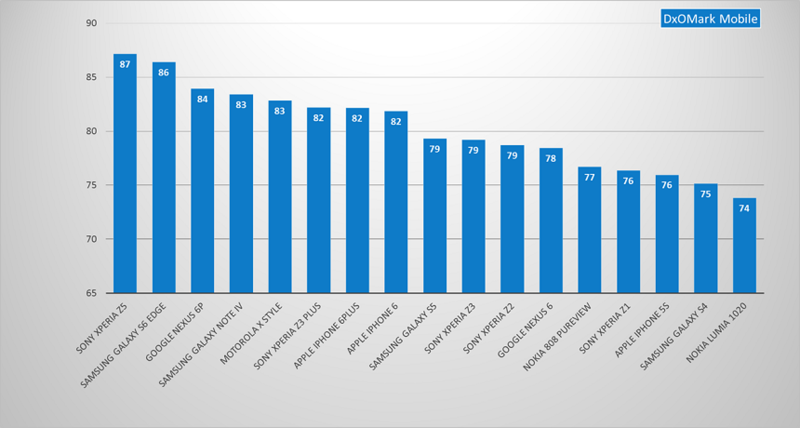 As it is, for photo results the Xperia Z5 is tied with the Samsung Galaxy S6 Edge at 88 points, both of which are clearly ahead of the iPhone 6 Plus at 84 points, and just in front of the LG G4 with 86. For video results, however, the Z5 is out on its own, with an outstanding sub-score of 86 points, just nudging out the S6 Edge’s 84, and boasting clear daylight over the LG G4’s 79, and the iPhone 6 Plus’s 80 points. 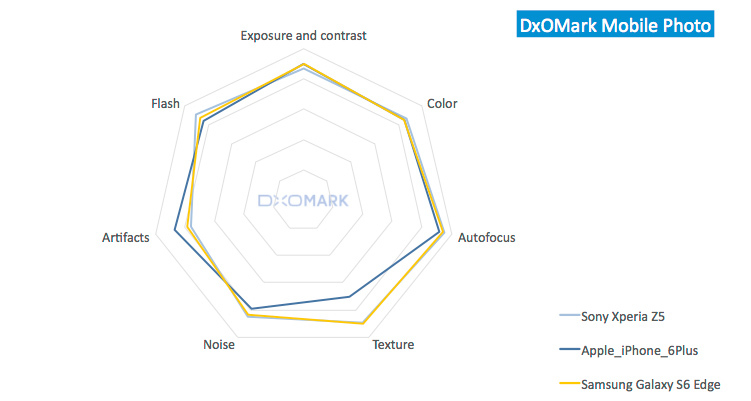 Closer analysis of the DxOMark Mobile Photo spider diagram helps us understand how the Xperia Z5 achieved the joint top photo score. You can see in all categories that the results between the Sony Z5 and Samsung S6 Edge are very close, with the Z5 posting an improved score for flash, and the Samsung device just ahead for exposure and contrast. That said, the Z5’s exposure is still excellent, with strong, bold, and well-saturated colors recorded in outdoor scenes, and very accurate white balance, too. On indoor shots mixed with a tungsten light source, there was a slight yellow cast visible, but it’s far from the worst we’ve seen under these conditions, and even in these shots, colors remained pleasant. Color shading is often a problem we observe on low-light camera phone shots, but again, this is another advantage of the Xperia Z5, which recorded good neutrality in all shadow areas. The only minor blip for exposures was dealing with high dynamic range, where the brightest parts of the sky were often blown out due to an exposure that brought more detail into the shadows. This is often the case with mobile device exposures, however, and such challenging light conditions are tricky even for advanced camera/DSLR exposure systems. 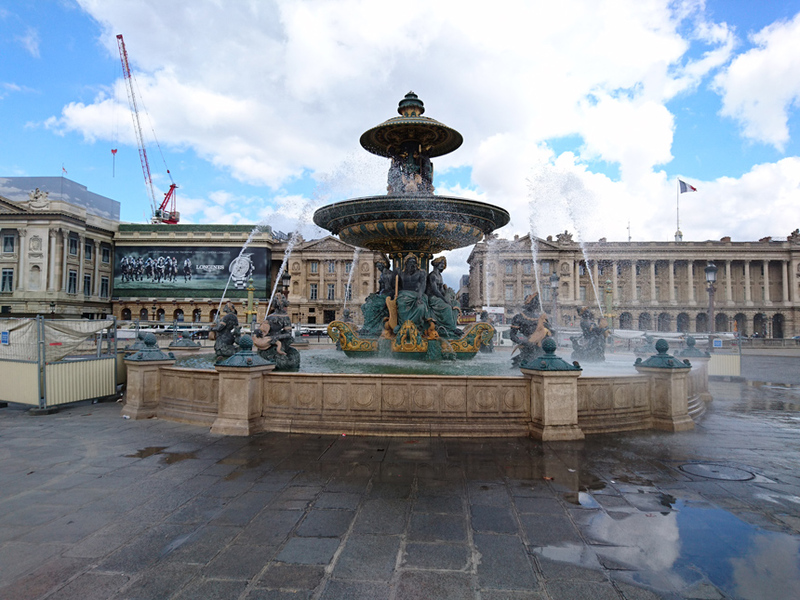 More worrying, however, was an inconsistency in the Xperia Z5’s HDR processing, where for consecutive shots at high dynamic range, one exposure accurately recorded highlight and shadow detail, while the next shot failed to do so. 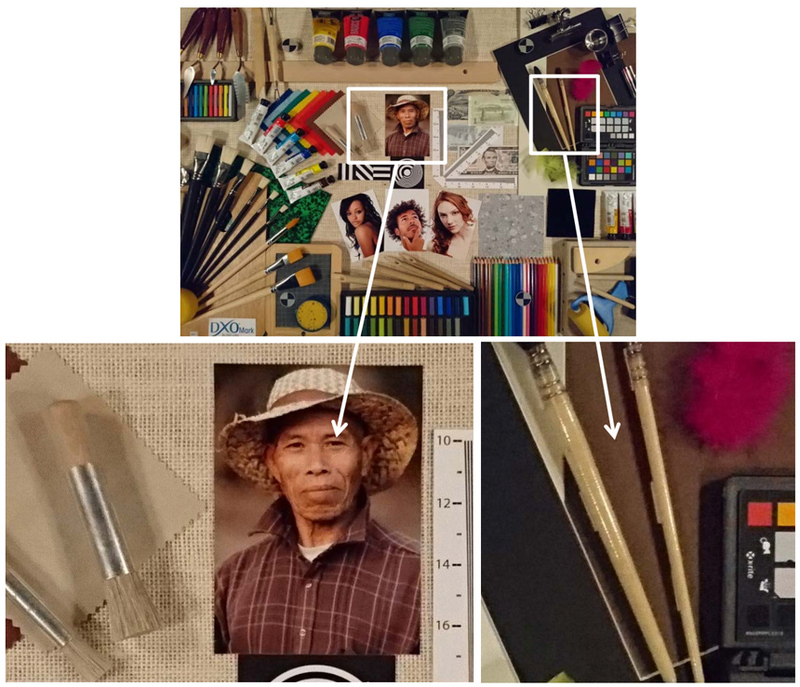 Despite the Z5’s lower 8Mp default jpeg resolution, our experts were pleasantly surprised with the level of detail preservation recorded, particularly in outdoor scenes. We observed excellent resolution in small details, such as roof tiles or bricks, along with good detail in low-light shots, too. 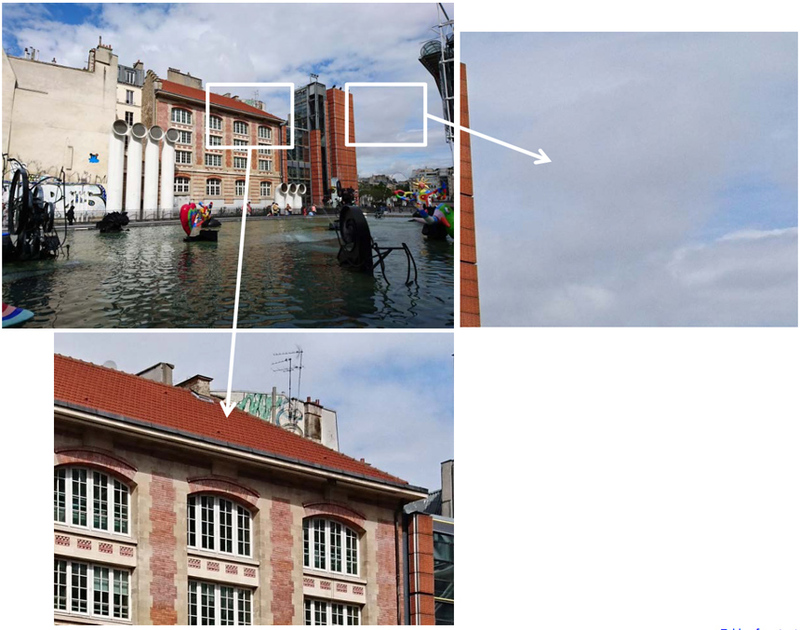 The lower resolution means that in areas of high frequency, the moiré effect can occur, however, as the details are just too fine for the 8Mp sensor to record properly. In blocks of color such as a sky, though, levels of chromatic noise are well controlled, making for pleasant color gradations. One of the Z5’s biggest strengths is its rapid autofocus, which we found a joy to use. In good light, the autofocus locks on fast and is super-accurate, with very few recorded instances of hunting or overshooting. As you’d expect in low light, the system is a little slower, but still very accurate in our opinion. Another category in which the Z5 trumps the rest of the mobile device competition is flash. Posting some of the best flash exposures we’ve seen, the Z5 boasts good detail preservation and accurate white balance together with strong and bold colors. One downside, however, is that while the flash is reasonably well-centered, we noticed a greater level of light drop-off in the corners than usual when using the Z5’s flash as the only light source. The Z5 boasts excellent auto white balance when shooting outdoors, and although there’s a slight yellow cast in low light with a tungsten light source, the white balance stays natural and pleasant. The Z5 records vivid and pleasant colors in general and particularly in outdoor scenes, with saturated hues rendered very nicely, too. Exposure is generally excellent on the Z5, although we did capture a few over-exposed skies when recording scenes with high dynamic range. HDR processing is a little inconsistent. In these two consecutive shots, the Z5 did a better job bringing back highlight & shadow details in the right-hand picture. Examining the 100% crops, the Z5 records high levels of fine detail, so you can clearly see individual tiles on the building roof, but noise is barely visible in the sky. When shooting in low light of 20 Lux, details are well-defined. but a buildup of noise is clearly visible in all areas of the image. 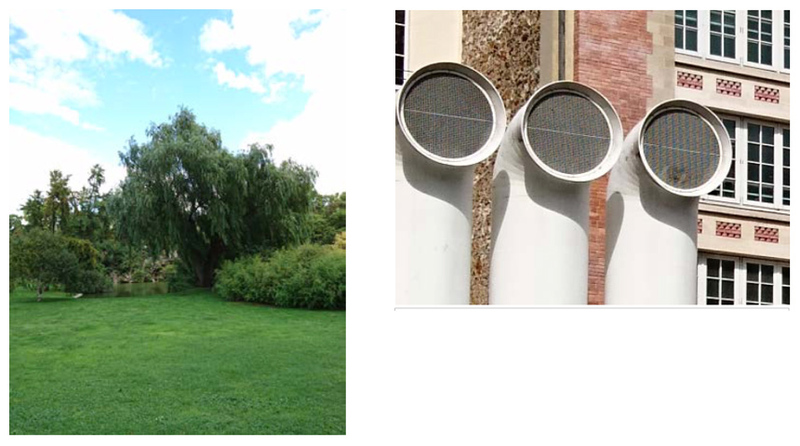 The Z5 over-saturated the blue sky in some scenes (left) and displayed a moiré effect in high frequency details such as the vents (right). DxOMark Mobile aficionados know that video stabilization is a common gripe of ours, with many mobile devices suffering from the jello effect or visible juddering when shooting movies. Well, Sony has obviously solved it with the Z5, as video stabilization is one of its strong points, particularly compared to the competition. Even with vigorous walking motion, we found the Z5’s videos to be well-stabilized. What’s more, just as when shooting stills, the autofocus system works really well for video, particularly in good light. It’s not bad when shooting video under low-light conditions either, just a little slower sometimes to kick in when changing scenes. Accurate white balance and bold strong colors are evident in the Z5’s videos, too, with good detail preservation and well-controlled noise. Shooting outdoors, exposures are on the whole very good, although the Z5 can be a little slow to adjust the exposure when changing scenes, leaving highlights in a HDR scene blown out for longer than we’d ideally like. - Impressive autofocus in all conditions, the best tested to date. - Very good white balance and color rendering in most situations. - Good flash exposures with pleasant white balance and good detail preservation. - Good detail preservation in both good and low-light conditions. - Thin noise in low light. - Impressive image stabilization that’s far ahead of the competition. - Good detail preservation and noise level. - Accurate white balance and color rendering. - Artifacts visible with blue sky saturation. - Skies sometimes burnt on high dynamic scenes. - Using flash, a slight attenuation is visible in the corners. - Sometimes tremors are visible, even using a tripod. - Exposure convergence can be very slow, particularly with details in strong highlights. - In low light, autofocus is sometimes a little slow to kick in. - Color shading is visible in low-light conditions.